Abram “made souls” in Haran (Gen. 12:5). The spread of the gospel of one God commences. Leaving Terah in Haran, Abram departed his father’s household (12:5) who “served idols” (Joshua 24:2). When famine came, Abram did not return to Babylon. 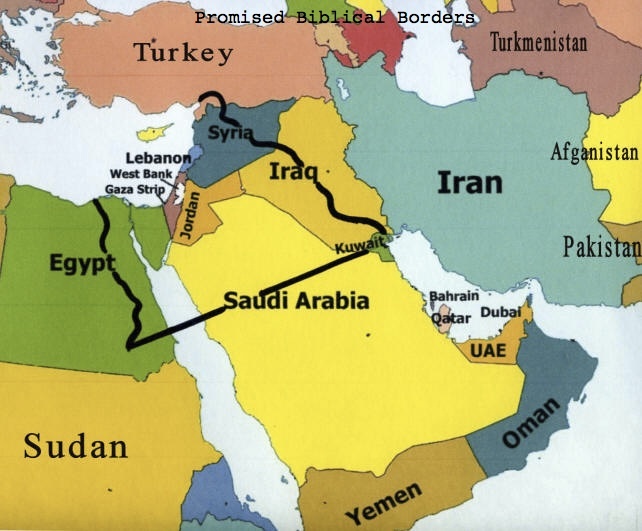 He went to Egypt; but, as others have pointed out, we must remember that the land promised to Abraham contains a portion of Egypt. 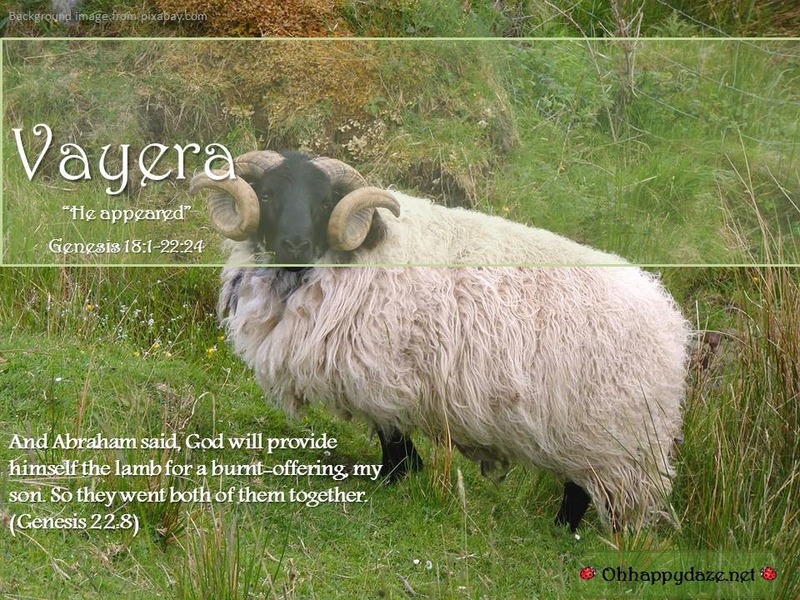 When strife arose between his and Lot’s shepherds, Abram quickly avoided becoming a reproach to the name of Yahweh by urging Lot to separate from him. Abram remained in the land of Canaan even though the “cities of the plain,” which Lot chose, were green and well-watered. 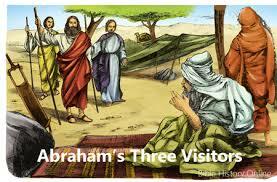 When Lot got into trouble, Abraham intervened. We will pick up with the story here. 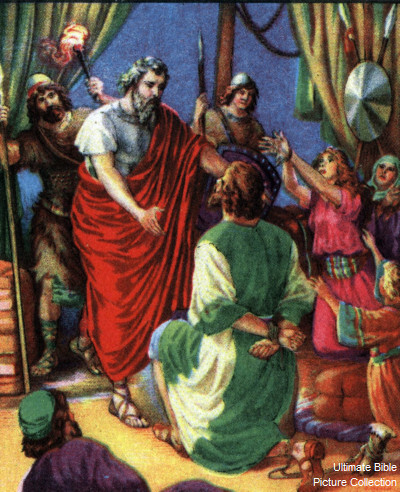 The Scripture for last week’s Torah portion contained the story of Lot’s captivity; but, in order to view his story as a whole, I have saved comments until this week. 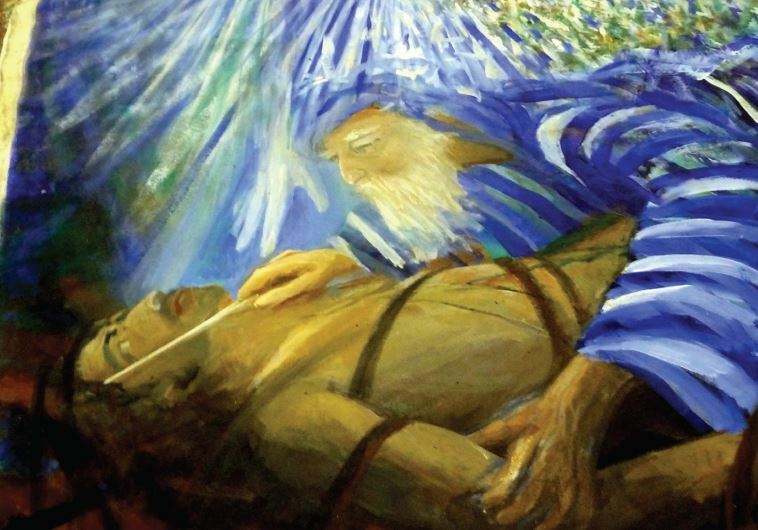 The parsha opens with the newly named and circumcised Abraham sitting outside of his tent on what the sages of Israel understand to be the third day after his surgery. 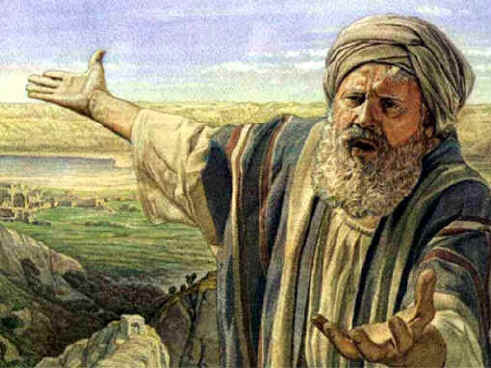 Perhaps, as Abraham sat, he grieved over the circumstances which led to his nephew Lot living outside of his camp. Abraham had urged Lot to separate from him due to strife between their herdsmen. Because Lot “chose for himself,” he was not present when the command from Yahweh for Abraham to circumcise the men in the camp came forth. Did Abraham regret his decision to gain some ground between he and Lot? Peter’s endorsement of Lot is a bit perplexing. If Lot was so righteous, why was he willing to remain in such an unrighteous society? Could it be that Isaiah was pondering a similar situation when God spoke to him about blindness? Note the phrase “of the covering cast over the people” contains two words, lot H3875 and lut H3874. The first is identical to Lot’s name, veiled, covering, envelope. The second is the primitive root, containing the same Hebrew letters, but with different vowel pointings, meaning to be tightly wrapped. We could say restrained. Now, look at the phrase “veil spread over all nations.” This “veil” is in Hebrew massêkâh H4541. Literally, it means covering of metal over a wooden image. Brown, Driver, Briggs defines it as pouring, libation, molten metal, cast image, drink offering, 1a) libation (with covenant sacrifice)1b) molten metal, molten image, molten gods. Isaiah uses to depict the spiritual blindness of idolatry. The word “spread,” is the Hebrew nâsak H5259 which means to interweave with the idea of fusion. To fuse is to make as one. But, this type of unity is the polar opposite of Yeshua’s prayer that His people would be one. And He [Yahweh] will swallow up on this mountain [Mount Zion] the veil, the covering, the envelope that is tightly wrapped over all people, the idolatry that is restraining, interweaving, and fusing all nations into one. 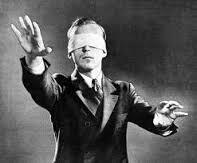 Quite obviously, this “veil” and “blindness” is so great that only Yahweh Himself can dispel it. 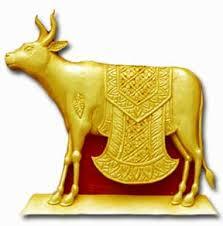 To dwell away from Abraham’s tent is to dwell in idolatry. Therefore, in my opinion, Lot can best be viewed as a picture of God’s people who chose to distance themselves from Abraham’s tent. Abram’s response was to rouse his 318 trained men and tear off in hot pursuit. And when Abram heard that his brother was taken captive, he led forth his trained men, born in his house, three hundred and eighteen, and pursued as far as Dan. And he divided himself against them by night, he and his servants, and smote them, and pursued them unto Hobah, which is on the left hand of Damascus. And he brought back all the goods, and also brought back his brother Lot, and his goods, and the women also, and the people. 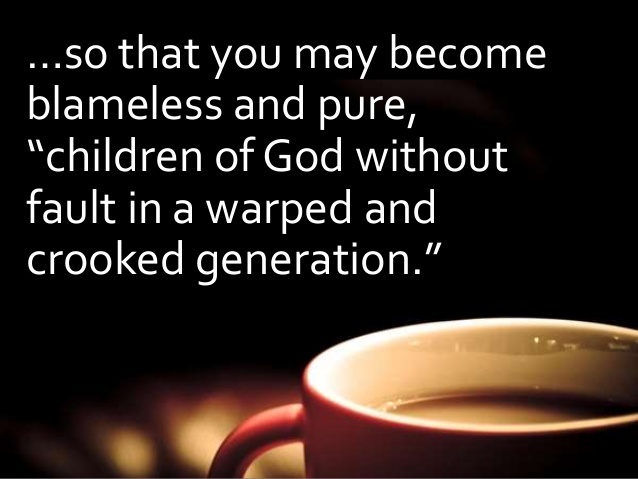 (Gen. 14:14-16). Supernaturally, Lot found himself back in Abraham’s hands; but, even after having been vexed by the culture of Sodom and being miraculously set free of it, Lot chose for the second time to enter Sodom. Abram “lifted up his eyes” and “looked” and “behold” three men stood before him. Abraham “ran” to greet them; “he bowed” before them and begged them to allow them to serve him; “he hastened” to instruct Sarah to bake unleavened bread; “he ran” to carefully select a “tender and good” calf to be served to his guests; and he made it known to the servants that it needed to be prepared quickly. We can surmise from this excitement and activity that God healed Abraham. The sages deduce that God healed Abraham so that he could attend to the needs of his guests and receive the reward for doing so. One of Abraham’s guests would turn out to be none other than Yahweh in the flesh! And we know that Yahweh in the flesh is Jesus/Yeshua! Abraham’s first thought must surely have been that he was dreaming. But, as “the men” came closer, behold! There, among them, was His Master, the same LORD who had appeared to Abraham three days ago (17:1) to instruct him in circumcision has returned today to tell Sarah to get the nursery ready ! 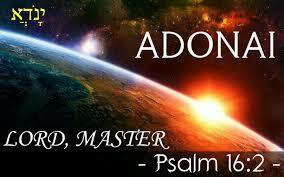 The Hebrew word “Adonai” is used in Scripture only in cases when God is being addressed. If Abraham had been addressing mere man, he would have used the term adoni, as when Sarai calls Abraham “my lord,” verse 18:12. When the food was ready, Abraham “stood” while his guests ate. (Gen 18:8) The sages reason that the unleavened bread hints at the season of Passover which would be instituted in Egypt. It seems to me that Abraham’s standing is yet another hint, for the Israelites were commanded to eat the first Passover meal, “with your belt fastened, your sandals on your feet, and your staff in your hand. And you shall eat it in haste.” (Exo 12:11) Remember, the deeds of the forefathers are portents for the children; therefore, we should look for other possible fulfillments. After the meal, Yahweh spoke in Sarah’s hearing. This is another way of saying that Abraham was tawmeem,blameless. 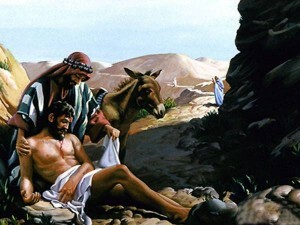 “The way of the LORD,” the bridal contract, specifically urges kindness to strangers and concessions for the poor, therefore instructing how to “love your neighbor as yourself.” That should ring a bell and bring to mind the parable of the Samaritan who paid for the care and lodging of a man who had been left for dead on the road to Jerusalem, ignored by Levite and priest. Yeshua castigated the religious leaders for such hypocrisy. An amazing picture begins here to unfold. 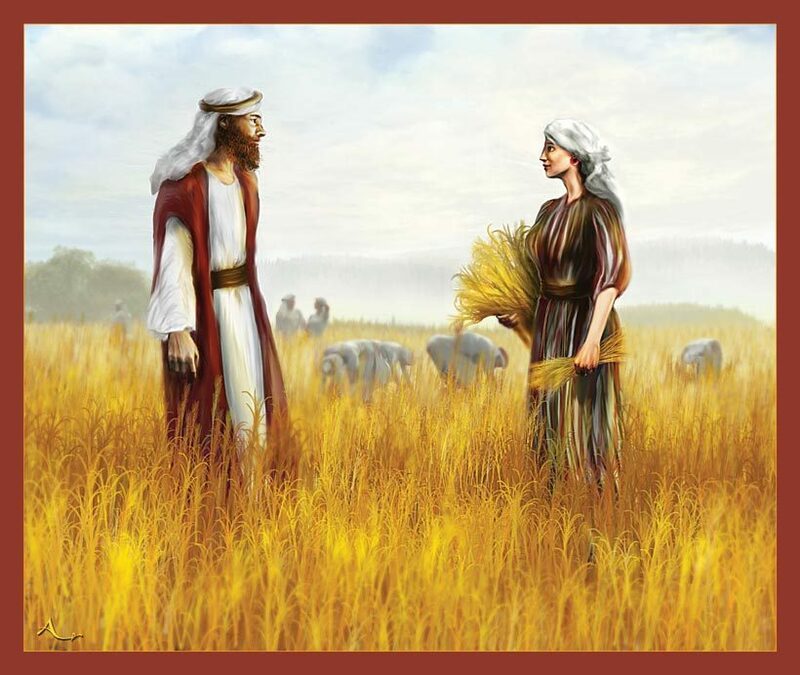 In humility of spirit in which a devoted wife, deeply concerned about her husband’s decision and reputation, might confront him privately, Abraham challenges God! Abraham begged mercy for Sodom for Yahweh’s own sake, that His name not be desecrated among the nations. Do you hear the protective voice of the Bride? Can you hear the Help-Mate pleading with her Husband that His reputation is in jeopardy? And the LORD went on his way when He had accomplished or fulfilled His intimacy with Abraham. Amazing! When Abraham drew near to God, Yahweh also drew near in intimacy to accomplish HIS PURPOSES! This is the intimacy that Yahweh desires with His “am segulah” [treasured possession]. We will look deeply into the idea of “drawing near” when we reached the book of Leviticus, as we study the purpose of the prescribed offerings. Abraham returned to his tent in confidence, assured that he had prevailed with God. 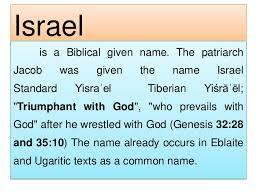 That is exactly what “Israel” means: “one who has power with God” or “prince with God.” This is why Abraham was chosen to be the progenitor of Israel, the “am segulah” or treasured possession of the Most High God. The one who kept the commandments of God knew the King’s scepter was extended to him, and therefore, boldly embraced the opportunity to intercede. When he was finished, having done all else, Abraham “stood” in faith, fully confident that Yahweh would do what was right. When Lot saw the angels, he rose to meet them and bowed himself with his face to the earth, emulating his uncle. Also to his credit, he pressed them to stay in his house, he rushed to prepare a meal, including unleavened bread, again hinting of the sign of the Passover that Lot and his two daughters would experience that night. The intercession of the Bride was not in vain. 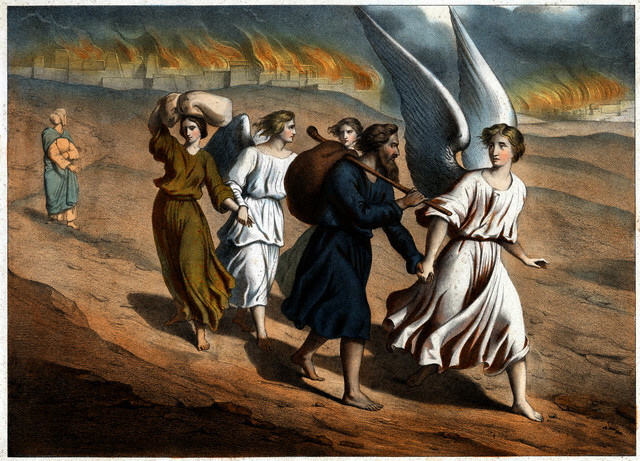 The angels pulled Lot safely into the house and secured the door, while the evil men outside, struck with blindness, still continued frantically to get inside. Lot lingered. Note the contrast between Abraham and Lot. When Abraham hears the voice of God, he quickly moves to obey. The angels seized Lot, his wife, and his two daughters by the hand, “the LORD being merciful to him,” and brought them outside the city. By this time, Jeusu/Yeshua Himself has rejoined the two angels and, strangely enough, Lot recognizes Him and converses with Him! Lot’s veiled eyes still cannot believe that the King of the Universe knows what is best for him and his family! Instead of quickly obeying, human reasoning prevailed as it did on the fatal day he “chose for himself” Sodom. 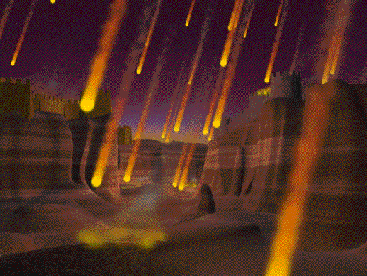 Note that the LORD is restrained from destroying the wicked cities until Lot has been saved! Such is the power of the Bride’s intercession! The carnage may have been so great that the daughters believed they were the only people left upon the earth. Following their father’s example, they resorted to human reasoning rather than exercising faith. Parents, be very sure that what you do is far more powerful than your instructions! Strong’s Concordance defines mo’ed as an appointment, a set time, a specific time or season, a meeting, a Feast, again hinting at Passover. The first time this term is used is on the fourth day of Creation. God not only has His own calendar, He purposefully arranges events to fall on certain days. Isaac’s miracle birth at the season of Passover portends the birth of the nation of Israel at the Red Sea at Passover in the year of the Exodus. The God of the Hebrews told Pharaoh, “Israel is my firstborn son” (Ex. 4:22). Interestingly enough, John the Baptist’s miracle birth to the aged and barren Elizabeth also occurred at Passover. This can be determined by the priests’ course of duty established by King David. 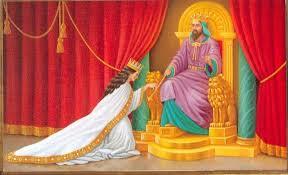 Zechariah served in the course of Abijah; nine months later John was born. It was while Zechariah was on duty in the Temple that the angel Gabriel foretold John’s birth. John’s name means “beloved.” His miracle birth heralded the birth of Jesus/Yeshua six months later. The Joshua generation crossed the Jordan at Passover, entering the land of Israel after emerging from the “womb” of the wilderness. So, in addition to the lamb and unleavened bread, the themes of Passover are wombs, barrenness, wilderness, deliverance, and LAUGHTER! We will talk more about God’s calendar as we proceed through the Torah this year. Back to our sidrah, can you imagine Abraham’s and Sarah’s joy upon hearing Isaac’s first cry? Or holding their very own squirming newborn at their old age? Can you imagine Sarah’s delight in her quickened 90-year-old-breasts brimming with nourishment for her hungry babe? Don’t you imagine she cackled! No doubt the camp echoed with shrieks of joy as word of the miracle birth passed from tent to tent. No wonder God had said, “His name shall be LAUGHTER [Isaac]! However, not everyone rejoiced. The excitement in the camp served only to provoke the jealously and displeasure of Ishmael and his mother until it could not be contained. Ishmael’s laughter was the fruit of Hagar’s jealousy and insolence toward Sarah. As with Cain, the firstborn son was enraged by God’s favor upon his brother. Perhaps God had to remove Ishmael as a hedge of protection for both boys to prevent the premature death of one or both. 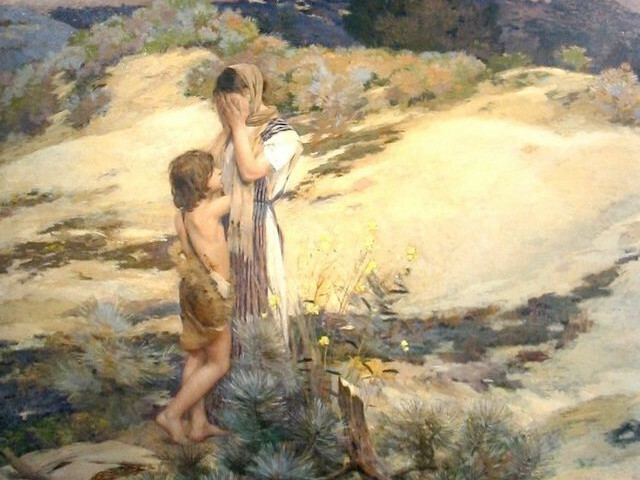 Determined to obey despite his deep love for Ishmael, “early the next day,” Abraham sent Hagar and her son away. This had to have been an extremely hard lesson. When we “help God,” and get ahead of Him, the result is often that we end up with an “Ishmael” who will impede the true plan and purposes of God. The only remedy is to break the ungodly tie and, thus, untie God’s hand of mercy. Take Your Son, Whom You Love…. Even in this most difficult trial of all, not a whit of procrastination is seen in Abraham. Receiving clear understanding of the LORD’s instruction, though most certainly not His purpose or the end result, Abraham rose early the next morning, placed the wood (foreshadowing Yeshua’s cross) upon Isaac, and proceeded to Mount Moriah (Hebrew: Moriyah, “chosen by Yah”). On the third day, foreshadowing Yeshua’s resurrection, Abraham “lifted up his eyes and saw the place from afar.” “The place” [Hebrew: ha makom] where Isaac would be offered up is none other than the site of threshing floor that King David will purchase from Oman (1 Chron. 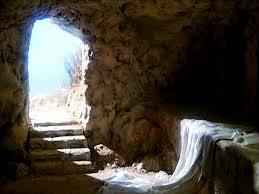 21:25), and where his son Solomon will later build the glorious Temple, and where Yeshua will be crucified. What must have gone through Abraham’s mind in that three day journey? Did he argue with God? Did he wrestle? Did he try to wiggle, at least on Sarah’s account? What on earth will she think? How Abraham’s heart must have been pierced when Isaac said, “My father!” According to several timelines, Isaac was 37 years old. This was no small child whom Abraham would place on the altar. Isaac willingly offered himself, just as Jesus/Yeshua would do at the very same location. “So they went both of them together.” The word translated here as “together” is a forceful word that means “unitedly,” if I may coin a word. 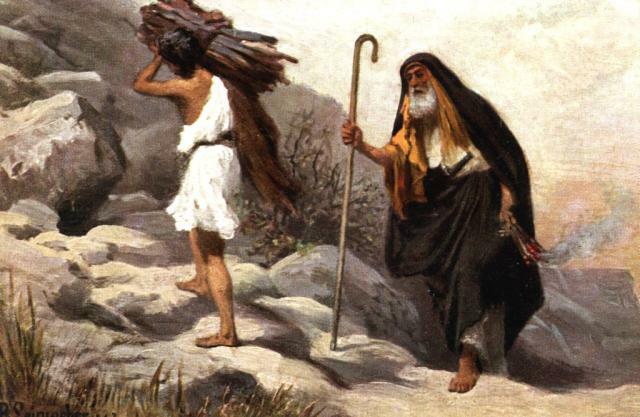 Abraham and Isaac picture the absolute “UN-dividedness”, “echad” (oneness), of Father and Son. Faith of the kind that Abraham possessed is ready, at a moment’s notice, to take on any role, any project, any assignment that the LORD may direct, no matter how under-qualified or over-qualified we may see ourselves. It is a willingness to go anywhere, at any time, and to meet with anyone. 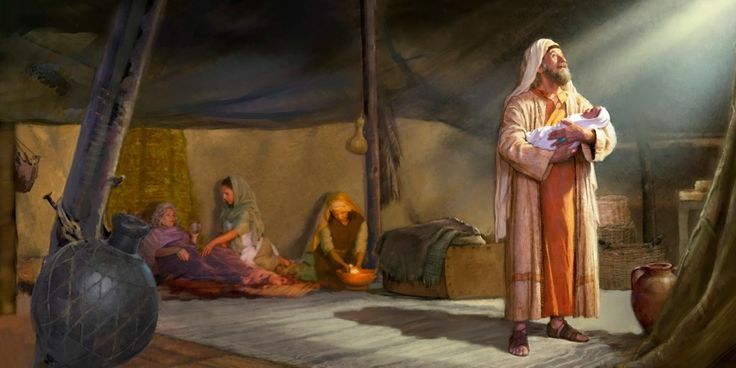 It takes on Abraham’s mantle, to “run” to offer help to the neighbor or stranger, to continually be an advocate for the orphan, the widow, the poor, the needy. It is prepared at any time to quickly assemble a meal or meet a financial need. It intercedes constantly and is willing to personally be used as an answer to prayer. This kind of faith teaches by example “the way of the LORD,” and is therefore, “the light of the world.” People who have the faith of Abraham will be tested as Abraham was. If we are being tested, it is because, like Abraham, we have been called and chosen, and, therefore, we have been given eyes to see what the “Lots” of this world cannot. Our calling is not to live peaceful, comfortable, trouble-free lives. It is so that, through our trials, we can grow and become tawmeem [blameless] so that we can take on the role of the Bride to intercede for the nations. As such, we are truly the most blessed people who have ever lived on the planet and we must boldly, urgently, and frequently draw near to the throne of grace to pray, “Thy kingdom come, Thy will be done, on earth as it is in Heaven.” When we do so, we are assured He draws near to us to fulfill His purposes. WOW! What a thought provoking commentary! I especially love how you brought out the role of the ezer kenegdo in Abraham’s “negotiating” with YHWH. I will reblog this on Grace in Torah. Shabbat Shalom dear sister! 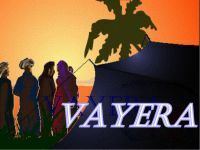 This is a wonderful and thought provoking commentary on Vayera by Abraham’s daughter at the Wilderness Report. It blessed me immensely this Shabbat and I know it will bless you too. Enjoy! Blessing to my soul, I long to step into the unknown to trust Yahweh in where and what he is trying to help me see. We are his servants and so blessed and anointed to serve him, help us Father to have the faith of Abraham and walk into the unknown with total trust in your will not ours. Pain has finally become the most precious gift that my King has ever given me because you do gain strength in the valley and it’s all because of his great and wonderful love, that I with his power could help someone else. Thank you my gracious Father! I love you! Thanks Ms Cathy for following your anointing through him and blessing us with awesome insight to our true meaning of living. Shalom Shalom!